When it comes to feeding your Dog anything other than store-bought Dog food, it can get a little complicated. For example would you know if it was safe to feed your Dog a Banana? What about a Tomato, or perhaps they look dehydrated, Is Gatorade I good idea? We’ve done some research and put together this rather detailed guide listing everyday food items that are good for Dogs along with those which are Bad for Dogs. We’ve tried our best to research this article and ensure it’s accuracy, however as with anything, it’s always wise to do your own research. We would strongly advise speaking with a veterinarian prior to making any changes to your Dogs diet. As important as each of those points may be, what matters more are the specific requirements that your individual dog has. Some dogs may need joint supplements, while others may need liver supporting ingredients, while others may be allergic to certain meats, so you need to be able to cater to this. There is one breed that may require a special diet, and this is the Dalmatian. Many Dalmatians have a condition that requires them to avoid purine. This is a type of protein that is found in certain foods, such as game, offal and yeast products. As a result, diets for Dalmatians need to be low-purine ones. Of course, as your dog reaches the later stages of his life, there are a few other adjustments that you will need to make. As a dog ages, his body will begin to slow down, and constipation is a common side effect of this, requiring an increase in fibre. Metabolism also slows down, so fewer calories are needed in order to maintain an ideal weight. Joint supplements are also recommended, as joint problems due to age are extremely common in dogs of all breeds and sizes. Before deciding how much to feed your dog each day, you need to determine his ideal weight. This is important, as research shows that dogs who are fed to their ideal body condition live for 1.8 years longer on average than their overweight litter mates. There are set breed standards when it comes to weight ranges for each recognized dog breed out there, but individual dogs within a breed, even within the same litter, can significantly vary in size, and therefore weight. There is nothing wrong with using breed standards as a guideline, but it is more important that you assess your individual dog’s body condition to identify his ideal weight. Once you know your dog’s ideal weight, you can then use an online dog food calculator. to work out how much you should be feeding him. These take into account your dog’s activity level, which is one of the most important factors in determining how much to feed. Even two dogs from the same litter may have activity levels on complete opposite ends of the scale, meaning that one may require double what the other gets. With vegetables being so essential when it comes to human health, many people assume that dogs have the same need for them as well. However, dogs and humans are built so differently, and a dog’s digestive system is nothing like a human digestive system. Dogs are considered to be facultative carnivores, which basically means that even though they are true carnivores, they can still survive on other sources of food that have not come from animals. While this may be the case, keep in mind that surviving and thriving are two different things. A dog’s diet should mainly consist of animal-based foods, but vegetables, when fed in moderation, can bring their benefits. If your dog is crunching through his carrot too quickly, try freezing it for a few hours first. This is especially beneficial for puppies who are teething, as well as any dog in hot weather. While it is no problem that dogs cannot properly absorb all of the nutrients in a raw carrot, this does mean that the carrot pieces may come out of your dog looking similar to how they went in, but this is no cause for concern. High in fibre and vitamin C, while low in fat, broccoli makes a great occasional treat for your dog. However, the key word here is occasional. While broccoli has its benefits when fed in small amounts, the florets do contain isothiocyanates, which can cause gastric irritation in some dogs. Although this may just be mild in some, it can be quite severe in others, so you do need to pay attention to how much broccoli you are feeding. General guidelines recommend that broccoli should make up no more than 10% of your dog’s daily intake. Anything over 25% would be considered toxic. Cucumbers are another vegetable that are good for dogs, because they are so low in calories. Cucumbers are also packed with vitamins B1, C and K, as well as magnesium, potassium and copper. Their crunchy texture appeals to many dogs, and the fact that they are so low in fat make them a great snack for dogs who are on a diet. Keep in mind that this only refers to fresh, raw cucumbers. Pickled cucumbers should not be fed to your dog, as they contain spices and salt that could potentially be harmful. While your dog should not be eating raw pumpkin, cooked or canned pumpkin can actually have some great benefits. Pumpkin is high in fibre and water, and can really bulk up a dog’s stool. This is why it is often fed to counteract constipation. Of course, with such significant effects, you really do not want to overdo it when it comes to pumpkin. Around one or two tablespoons of pumpkin a day is ideal, although this does need to be adjusted depending on your dog’s size. Pumpkin seeds are also good for dogs, with many using them as a natural wormer. However, in order for your dog to obtain maximum benefits from them, you will need to roast and grind them first, but make sure that you do not add any salt. Green beans are often recommended by vets as a healthy treat for dogs, and can be fed both raw as well as cooked. Being full of nutrients and fibre, but low in calories, this is a great vegetable to bulk out your dog’s meals with if he often still seems hungry after eating. Since garlic belongs to the onion family, many consider it to be toxic to dogs. However, the majority of studies out there that have looked at garlic and dogs tend to base their findings on garlic extracts, excessive doses, and unnatural methods of delivering the ingredient. The key here is organic, fresh, raw garlic, in small amounts. Make sure that your garlic has been locally grown, because certain types of garlic, such as Chinese garlic, have regularly tested positive for everything from arsenic to heavy metals. To ensure that your dog gains the maximum benefits from garlic, you need to chop fresh garlic finely, and then let it sit for 15 minutes before feeding it. Crunchy and full of nutrients, celery is another vegetable that is often recommended as a treat replacement for dogs who need to lose some weight. Are Sweet Potatoes Good for Dogs? Not only are sweet potatoes safe for dogs to eat, but, because they are so high in fibre, they are actually great for your dog’s digestive health. They work in a similar way to pumpkin, and, just like with pumpkin, sweet potato should not be fed raw, and needs to be cooked. Steaming or boiling are your best options, as these cooking techniques enable the sweet potato to retain more nutrients than if you were to roast them. If you are comparing sweet potatoes to white potatoes, sweet potatoes are definitely the better option. They may cost slightly more, but contain less carbohydrates, preventing obesity and blood sugar problems. Asparagus is a vegetable that you do not often see on the ingredients list of dog foods, but this is due to its high price compared to other vegetables that are just as beneficial. Nevertheless, asparagus is absolutely fine for your dog to eat. Asparagus stalks can be quite tough though, so some dogs do have difficulties when it comes to properly digesting them. The best way to get around this is by lightly cooking them, either by boiling or steaming. Just like with humans, asparagus does have the effect of giving dog urine a stronger, more distinct, smell. This will not be a problem if your dog is fully housebroken, but, if accidents tend to often happen in the house, you may want to pick a different vegetable for your dog. Cauliflower and broccoli share similar benefits when it comes to your dog’s health, but cauliflower is also able to help reduce inflammation, which can really help with arthritis. However, there is one downside to feeding cauliflower that may make you opt for broccoli instead. The way in which a dog digests cauliflower means that they can often become quite gassy after eating it. This does vary from dog to dog, but if you find stronger smells than usual coming from your dog after they have eaten cauliflower, then you may want to opt for another vegetable instead. Many people are under the impression that avocado is toxic to dogs, but this is not strictly true. While avocado does contain a toxic compound called persin, this is toxic only to horses, cattle, birds and goats, not dogs. There are a lack of reports surrounding avocado toxicity in dogs, and veterinarians now tend to be in agreement that, as long as it is fed in reasonable quantities, avocado is safe to feed. The main issue with avocado is its pit. Due to its size, this can be quite the choking hazard if a dog accidentally swallows it. Even if the dog crushes it with his teeth first, it is a substance that is not easily digestible, and could lead to an obstruction. You should also keep in mind that avocados are high in fat. While this fat may be good for certain things, such as the skin and coat, it can also lead to health issues such as pancreatitis and obesity. Packed with vitamins A, B, C and K, as well as iron, manganese, fibre, calcium, potassium and more, spinach is one of the most nutritious leafy greens out there. This is a vegetable that can do everything from prevent cancer to boost the immune system, so there is no reason as to why you should not feed it to your dog. However, keep in mind that spinach does contain oxalates, which can cause kidney problems in dogs. However, if you feed spinach in moderation, this would not be a problem. A dog would need to eat almost his entire weight in spinach in order for problems to arise. In order for your dog to gain any nutritional benefits from spinach, the leaves need to be broken down in some way first. You can either lightly cook them, making sure not to add any seasoning, or blitz them up in a food processor before adding it to your dog’s meal. Bell peppers are highly nutritious, and many dogs love their sweet taste combined with their crunch. They are low in calories and packed with antioxidants, especially if you opt for red bell peppers. You can feed bell peppers to your dog raw, but, if he is having trouble getting through the tough outer skin, you may want to try cooking them. One point to be aware of is that peas contain a compound called purine, which needs to be avoided if your dog suffers from any kidney problems. Butternut squash, as well as other types of squash, are safe for your dog to eat. They are packed with nutrition and their naturally sweet flavor makes them quite appealing, even to the pickiest of eaters. While some dogs are able to handle butternut squash raw, you are probably going to be best off cooking it first, as this makes it easier for your dog to digest. Either roast or boil it, making sure that you remove any peel or seeds before feeding a few pieces to your dog. Whether you opt for Romaine, iceberg, or any other lettuce variety, lettuce is absolutely fine to feed to your dog, so long as it does not contain any dressings. The texture of different lettuce varieties varies quite a bit. For example, some varieties will have crunchy stems that your dog may love, whereas softer leaves may be something that your dog does not enjoy. The only way to know is by feeding a variety of different lettuce leaves and seeing what your dog ends up eating. Just like with all vegetables, moderation is key, as too much lettuce may lead to diarrhoea. The zucchini, also known as the courgette, is a type of squash, meaning that, just like with butternut squash, they are safe for your dog to eat. Unlike butternut squash, there is no problem with feeding your dog raw zucchini, along with the peel, although you may want to chop or grate it to slow your dog down a bit. Cabbages are full of nutrients, making them a great vegetable to feed your dog. Cabbages can do everything from protect against cancer to improve the skin, so your dog could really benefit from some cabbage added to his diet. Keep in mind that cabbage does contain a compound called thiocyanate, which, when consumed in large quantities, can suppress the thyroid gland, leading to hypothyroidism. However, you can avoid this by feeding cabbage in moderation, as a huge amount of cabbage would need to be consumed in order for the thiocyanate to cause any problems. If you cook the cabbage, you minimize the risk even more, as cooking deactivates the compound. The one downside to feeding cabbage to your dog is that it can cause gas, so make sure that you introduce it in small quantities. There are thousands of different types of mushrooms out there, but a number of them are extremely toxic, to humans as well as to dogs. Even just one small bite can be fatal, which is why you would be best off ensuring that, when it comes to wild mushrooms, your dog stays well away from these. Beans are extremely nutritious, and are a great source of protein. While this may be the case, they are in no way a replacement for animal protein, and should never be used in this way. Nevertheless, everything from black beans to chickpeas to kidney beans are safe to feed your dog. Some raw beans to contain toxins, so, unless you research this further, you would be best off cooking beans before feeding them to your dog. This also makes them much easier for your dog to digest. Brussel sprouts are basically like mini cabbages, and have many of the same benefits that cabbages do, such as high amounts of nutrients, fibre and antioxidants. Brussel sprouts can be fed raw, but they do contain a thyroid-suppressing compound, which can be destroyed by cooking. Steaming is the best cooking method in order to retain nutrients. However, whether you choose to feed them raw or cooked, Brussel sprouts make a great dog treat. Even the stalk can be fed, and many dogs love to give these a good chew. As always, moderation is key. For smaller dogs, one sprout should be enough, while larger dogs will be able to handle two or three. Just like with cabbage, gas is the side effect to feeding too many sprouts, and you are likely to notice this soon enough! Olives contain healthy fats that can do everything from lower cholesterol levels to reduce the risk of diabetes, making it no surprise that many dog owners are wondering whether or not they can feed olives to their dog. Technically, the answer is yes, as olives are not toxic to dogs. However, the majority of canned olives out there are packed with salt and preservatives, neither of which will be doing your dog any favors. If you do wish to feed your dog canned olives, make sure that you rinse them off first, as this will put less pressure on your dog’s kidneys. Potatoes can also cause spikes in your dog’s blood sugar levels, so stay clear of them if you dog has diabetes. When it comes down to it, white potatoes, when cooked, can be fed in moderation, but your dog has no nutritional need for them. You may notice them in many dog foods, but they act more as a cheap filler than as a beneficial ingredient. If you would like to feed your dog potatoes, sweet potatoes would be a much better option. Corn is a common ingredient in many dog foods, so one would assume that corn is good for dogs. This is definitely not a toxic ingredient, but also does not really bring any benefits to your dog. 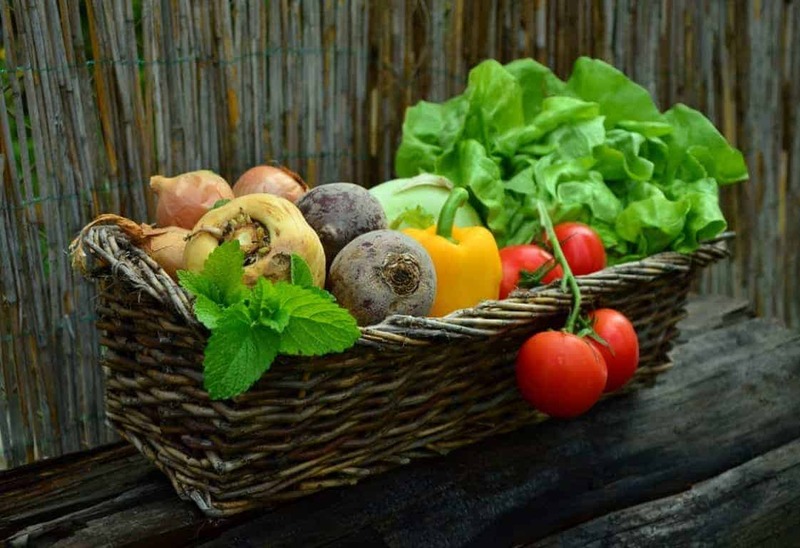 It is a common allergen, it is not easily digestible, unless it has been highly processed, and its nutritional makeup does not stand out from that of any other vegetable. Corn is a carbohydrate, and, as mentioned above in the potato section, carbohydrates tend to be fed as a filler, rather than for nutritional benefit. If you would like to feed your dog fresh corn as a treat, there is nothing wrong with this, but make sure that you do not allow your dog to eat the actual cob. This, just like avocado pits, are of a size that could be a potential choking hazard, and, even if they are chewed, they are not easily digestible, and can lead to an obstruction. Onions contain a toxic compound that breaks down the red blood cells in a dog’s body, resulting in anemia. From the flesh to the leaves to dried powders, all parts of the onion are toxic to dogs. This can make it quite the challenge if you often feed leftovers to your dog, as you need to make sure that nothing contains any onions, from sauces to marinades. Being a leafy green, and one that has been recently touted as an incredible super food for humans, many assume that it is safe to feed kale to dogs. When fed in small amounts, and not on a regular basis, you are unlikely to have any problems. However, this is not a vegetable that you want to feed regularly, as kale contains quite a few harmful compounds. One of these is calcium oxalate, which can cause kidney and bladder stones. Kale also contains isothiocyanates, which are found in broccoli too, and can cause gastric irritation. 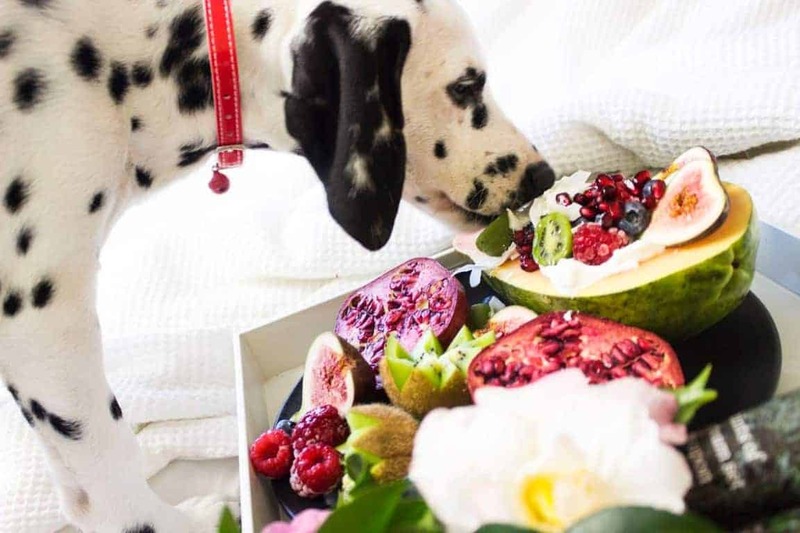 What Fruits Are Good for Dogs? Just like with vegetables, fruits are not an essential part of a dog’s diet, but many fruits can still provide quite a few health benefits. 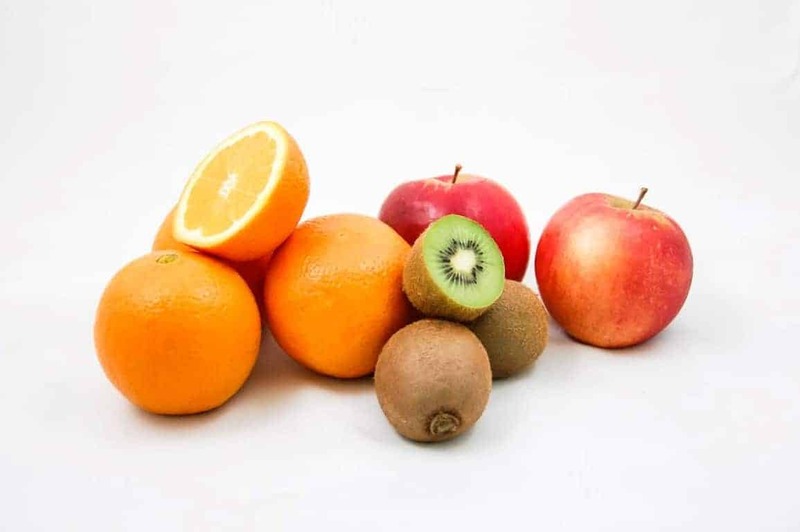 The only thing to keep in mind is that many fruits can be quite high in sugar, which, as you can imagine, can have adverse health effects in the long term, so you will need to keep these to a minimum. Blueberries are often referred to as a super food, since they contain more antioxidants than all of the other commonly consumed fruits and vegetables. These antioxidants are not just great for humans, but for dogs too. In fact, studies show that adding more antioxidants to a dog’s diet can help to combat brain aging, which is good news for older dogs. They are also great for fighting cancer and boosting the immune system. Since blueberries are naturally quite small, they do not pose a choking hazard, and also do not need to be cut up before being fed. Bananas are a great source of potassium, copper, fibre, manganese, biotin, and vitamins B6 and C. They are also low in sodium, and many veterinarians recommend bananas instead of commercial dog treats. However, bananas do have quite a high sugar content, so you need to ensure that you only feed them in moderation. You may also find that your dog does not enjoy eating bananas. Whether it be the smell or the texture, bananas tend to be a fruit that a dog will either absolutely love, or refuse to go near. Many people are under the impression that tomatoes are toxic to dogs, but this is not actually true. Tomato plants, such as the stems and leaves, contain a substance called solanine, which is toxic to dogs in large quantities. However, this substance is only found on the plant, as well as in green, un-ripened tomatoes. Tomatoes that are ripe and red are safe to feed to your dog. Not only are they safe, but they can actually be quite beneficial. In addition to their vitamins and minerals, tomatoes also contain plenty of antioxidants. Just like other red fruits and vegetables, they contain a compound called lycopene, which can really boost the health of your dog. Sweet and crunchy, apples make a fantastic snack for dogs. You can feed them either as chunks or slices, but you should refrain from feeding whole apples. This is because the seeds and core contain cyanide, although large amounts would need to be consumed, on a regular basis, for the toxicity of this to cause a serious problem. Apples are a great source of many nutrients, and can also help to keep your dog’s teeth clean when fed in large chunks. Watermelons consist of 92% water, along with plenty of vitamins and nutrients, and are low in calories, making this a refreshing and hydrating treat for dogs. They are effective at cooling dogs down, which is why many owners choose to feed watermelon as a treat in the hot summer months. If you do feed your dog watermelon, be prepared for an increase in urination, due to the fruit’s high water content. Oranges are another fruit that many think are bad for dogs, but this is only because some dogs just do not like the smell of citric acid. Nevertheless, oranges, as well as clementines and tangerines, are not toxic to dogs, and are safe to feed. They do have a few benefits too, with the main one being their vitamin C content. While dogs who are being fed a balanced diet do not need extra vitamin C, the additional amount can be useful to dogs who exert themselves frequently when exercising, as this can affect the way in which the liver is able to produce vitamin C itself. Strawberries make a great treat for dogs, because they are high in nutrients and antioxidants, and are famous for their anti-cancer and anti-inflammatory properties. While strawberries are low in calories, they are still quite high in sugar, so you do need to limit how many you feed. If your dog seems to eat fresh strawberries too quickly, try putting them in the freezer for a few hours, as this will give them some extra crunch and will help to slow your dog down. Nutritious and refreshing, fresh and raw pineapple is safe to feed to your dog. Of course, it goes without saying that you should not feed the skin, or the core, to your dog, sticking to just the fruit. Try to stay away from canned pineapple too, unless you are able to find one that does not contain any added sugars. If your dog suffers from coprophagia, then pineapple is probably something that you have already tried feeding. This is a condition that compels dogs to consume his own faeces, but the pineapple’s acidity will change the taste of this, and hopefully put an end to that behaviour. Cantaloupe is a melon, meaning that, just like watermelon, it is safe to feed this to your dog. With its anti-inflammatory properties, as well as its wide array of nutrients, this is a fruit that makes such a healthy dog treat. However, the rind of the cantaloupe is tough, and your dog will not be able to digest this properly, which is why it needs to be removed. Just like with watermelon, you should also remove the seeds. While they are not toxic, they can cause internal blockages. Mangoes are a sweet and juicy tropical fruit that are great for both humans and dogs. However, before feeding a mango to your dog, you need to make sure that you have removed the peel and the pit. The skin is too tough for your dog to properly digest, and could lead to blockages, while the pit contains toxic chemicals that can be fatal, while also being a choking hazard. Not only are peaches good for dogs, but this is a fruit that the majority of dogs really love. You do need to make sure that the peach is ripe, and you should never feed peach pits, as these contain cyanide and also pose a choking hazard. Just like with canned pineapple, canned peaches can contain quite a few sweeteners and preservatives, neither of which are good for your dog. Thanks to all of these health benefits, cranberries are a fruit that are often included in commercial dog foods. Just like with all fruits, feeding fresh cranberries is going to be the most beneficial to your dog, but dried or cooked cranberries are also fine to feed. Cranberry sauce and cranberry juice tend to be high in sugar, so these are best avoided. Pomegranates are one of the most nutritionally dense foods out there, but this is a fruit that often does not agree with dogs. The reason for this is because pomegranates contain a high level of tannins, which are plant-based antioxidants. While these specific antioxidants are great for humans, they are in an extremely highly concentrated form in pomegranates, and this can sometimes irritate a dog’s gastrointestinal tract. Pomegranates do have some great health benefits, so it is still worth giving them a go and seeing whether or not they agree with your dog. However, if your dog shows any signs of digestive upset, then you would be best off not feeding him pomegranates again. Kiwi is another fruit that is good for dogs, containing a wide range of different nutrients. While the exact health benefits that kiwis can bring to dogs are still relatively unknown, this fruit is believed to have anti-inflammatory properties that can really help with arthritis and spinal problems. However, it is only the flesh that you should be feeding. The skin, as well as the seeds, need to be removed, as the skin is a choking hazard and the seeds contain toxic compounds. If you are feeding dried kiwi, make sure that it does not contain any added sugar. While grapes may seem small and harmless, grapes, as well as raisins and sultanas, are extremely toxic to dogs, and can be fatal in many cases. The exact reason for this is still not understood, but there are enough reports out there of grapes and raisins causing sudden kidney failure in dogs for owners to know that this is not a fruit to feed. What makes this even more confusing is that some dogs seem to be able to consume large quantities of grapes with no effect, while others can have a serious reaction just from eating a single grape. If your dog has eaten grapes, you need to immediately contact your vet to find out what their procedure is. You will likely need to take your dog in to see the vet so that they can induce vomiting. Grapefruit is considered to be extremely toxic for dogs, because there are two sources of toxins found within this fruit. The first is its essential oils, which are present in both the skin as well as the pit. The other is a chemical compound called psoralens, which can affect your dog even in small amounts. Technically, lemons, in small amounts, are fine for dogs to eat, as they are not toxic. However, they are extremely acidic, and can quickly cause a stomach upset, especially if your dog eats large quantities. Fortunately, since most dogs do not like the smell or taste of lemons, this is not something that you will likely have to worry about. Lemons also do not really provide any nutritional benefits to a dog, so there is not really any reason to feed them this fruit. Are Dairy Products Good for Dogs? Dogs do not have a need for dairy products in their diet, but many owners still enjoy feeding dairy products to their dogs as a treat. As long as these are not fed regularly, and are fed in moderation, they are generally safe. However, keep in mind that, just like with humans, many dogs have a problem digesting lactose, which is a nutrient found in milk and dairy products. If your dog is experiencing any intestinal distress after eating dairy, whether this may be vomiting or gas, then you would be best off refraining from feeding dairy products in the future. Eggs are one of the most complete and nutritious foods that you can feed to your dog. Since they contain all of the necessary nutrients for growing a chick, they are one of the most complete sources of amino acids, which are the building blocks of protein. 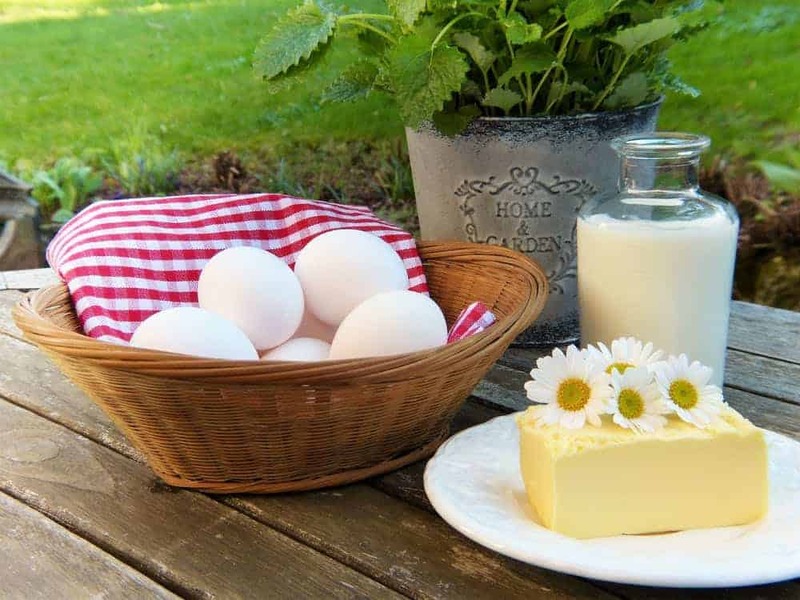 One of the reasons that many claim that eggs are dangerous for dogs is because egg whites contain avidin, which inhibits the production and absorption of biotin, which is a form of vitamin B. However, the egg yolks are actually extremely high in biotin, so, by feeding the whole egg, you are balancing this out perfectly. Biotin deficiencies are extremely rare, but, if you are worried, you can cook the eggs before feeding. Scrambling them lightly is the best method, but remember that this will cause the eggs to lose quite a few nutrients. Egg whites do also contain enzyme inhibitors, which can interfere with digestion, especially for dogs who are particularly young or old. However, this will only be a problem if you are overfeeding eggs. Depending on your dog’s size, you could easily feed several eggs a week with no problems at all. Don’t forget that the eggshells are a great source of calcium for your dog. If you purchase your eggs from an organic farm, you can dry the shells out and then grind them up, before adding them to your dog’s food. However, if you purchase your eggs from a grocery store, you would be best off refraining from doing this, as many store-bought eggs have been sprayed with cleaning chemicals. Since many types of yogurt contain probiotics, this is something that is often fed to dogs who need an immune booster. While this may be the case, the majority of yoghurt out there is pasteurised, which means that it has been heated to a high temperature to kill off any harmful bacteria. Studies have shown that pasteurisation not only leads to salmonella epidemics, but also destroys the healthy bacteria within dairy products, resulting in them having little to no benefit. If you would like a healthier alternative to yogurt, with ten times the probiotics, give milk kefir a try. This can easily be made at home, and the fermentation process destroys the lactose, meaning even dogs who are lactose intolerant can benefit from it. If your dog, like many others, is lactose intolerant, then you should not be feeding milk. However, for dogs who can handle lactose, milk is safe to be fed in small amounts on occasion. Keep in mind that milk does contain quite a bit of fat and sugar, which is why small amounts are essential. While cow’s milk may be the most widely available, goat’s milk is actually a better alternative, especially if you can find it in a raw, unpasteurised form. Compared to cow’s milk, goat’s milk is higher in calcium and potassium, and also has a lower lactose content, making it easier for your dog to digest. Due to its strong smell, cheese is a food that many dogs cannot seem to resist, making it a great high-value treat, so long as your dog is not lactose intolerant. If you are using cheese as a training aid, then you do need to be sure to pay attention to how much you are feeding. It is fine to treat with cheese on a daily basis, so long as this is not done in the long term. Try mixing pieces of cheese with chopped fruit or dried meat, as this will help the cheese to go further when training. What Fish & Meats are Good for Dogs? Dogs are designed to eat meat and fish, and this is what should form the majority of their diet. When it comes to meat, most meats are good for dogs, as long as they have not come from another carnivorous animal. Carnivores tend to have higher levels of parasites that can be shared with other carnivores, and they also contain heavy metals and toxins that cannot be destroyed through cooking. Fish is also an important part of a dog’s diet, as fish contains omega-3 fatty acids that are essential for a dog’s health, and cannot really come from any other sources, unless you feed a fish oil supplement. Of course, there is always a risk of parasites when it comes to feeding fish, but this will be discussed in more detail below. Chicken is a common ingredient in many dog foods, and this is not only because it is nutritious, but also because it is cheaper than the majority of other meats. The reason it is so cheap is because the majority of chickens are intensively farmed, meaning that the animals are raised in sheds for their entire life. This means that, these days, most chicken will not contain much vitamin D, since the animal would not have been exposed to sunlight, and will also not have any natural antioxidants, since it had no access to grass or fresh greens. Factory farmed chickens are also often fed growth hormones and antibiotics, both of which the meat will contain traces of. This is why, if possible, you should try to opt for free range, and possibly organic, chicken meat whenever possible for your dog, as it will be far more superior nutritionally. Many claim that dogs need more red than white meat in their diet, but, whether or not this is true, there is no denying that red meat is one of the best foods that you can feed to your dog. The most popular red meat found in dog food is beef, as well as beef by-products. If the cow has been raised on pasture, then beef is a great quality meat to be feeding to your dog. Although it does have quite a high fat content, this is even more in grain fed beef, which is why pasture-raised is always best. Both lamb and mutton are also popular red meat options for dogs. 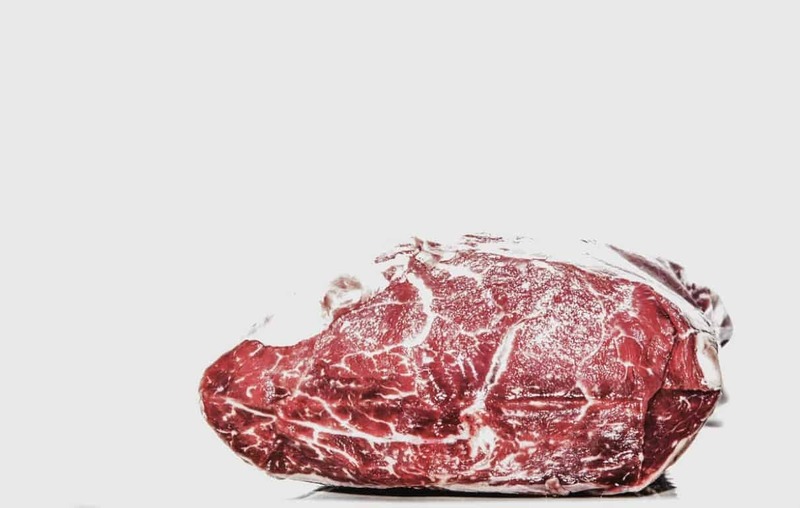 Just like with beef, the meat does have quite a high fat content, but, unlike beef, sheep tend to be raised on pasture, so the meat is usually good quality. Since a lamb is much smaller than a cow, its bones are less dense, which is why lamb bones, such as ribs and necks, are the perfect meaty bones to feed to your dog. One point to be aware of with lamb is that it is considered to be quite an inflammatory meat. For this reason, it is best avoided with older dogs, as inflammation is something you need to keep to a minimum as your dog ages. As you can tell, green tripe is the one that you want to feed. It is quite easy to source, as it is only sold for pet consumption. While the smell may be quite off-putting at first, the benefits that it will bring to your dog will more than make up for this. Another red meat option is pork, but this is a meat that many owners stay away from. Of course, it does depend on the country you are in, as well as how the pig was raised, but most pigs, in most countries, are intensively farmed, in a similar way to chickens. Pigs are commonly fed hormones and antibiotics, and also suffer from a stress-related condition that can actually drastically alter the quality of meat at the time of slaughter. Game basically refers to wild animals, and these are usually hunted rather than farmed. Since these animals have lived naturally their whole lives, their meat tends to be leaner, as well as higher in nutrients. Venison is a popular game meat to feed, because it is high in protein and low in fat. It is also quite an unusual protein, making it a good one to try if you are feeding an elimination diet to your dog due to allergies. Keep in mind that not all venison is wild, as deer are also farmed, so you should try to find out the source of your meat whenever possible. Wild rabbit is another good protein source to try, with many claiming that this is one of the most appropriate meats for dogs. Low in fat and high in nutrition, rabbit rarely causes allergies, and, when wild, has excellent quality meat. When a fish has been freshly caught, its meat is extremely high in vitamins and minerals, while being low in fat. This makes fresh fish a great protein source for your dog, although it should still not make up the main part of his diet, as meat is more important. Fish can be fed both raw and cooked. The benefits of feeding it raw are that it will contain all of its nutrients, but, if you do not want to do this, you can lightly cook it instead. When feeding fish raw, the bones are safe to feed, but make sure that you remove every last bone if you are cooking fish for your dogs. The cooking process turns the bones brittle, making them unsafe when inside your dog. Many owners feed their dogs canned fish. While this is fine as a treat, you do need to be aware of the fact that the canning process uses high temperatures, meaning that the omega-3 content of the fish will be severely reduced. The concept of the raw food diet is quite a controversial topic, but this is something that more and more dog owners are now switching over to. As mentioned above, dog’s are carnivores, which you can easily see for yourself from their sharp, pointy teeth that were designed to tear at flesh. Because of this, raw meat, along with bones and offal, is one of the most natural foods that your dog could possibly eat. Since raw food is not cooked in any way, it retains all of its nutrients, and these are in a form that are easy for your dog to digest and absorb. Of course, raw feeding is so much more than just throwing your dog a piece of chicken each night. Your dog’s diet needs to be nutritionally balanced, so you need to ensure that you are feeding the right ratios of muscle meat, offal and bones. For those who are just starting out with a raw food diet, you may be best off opting for a pre-made raw mix, as this will contain everything that your dog needs to thrive. Rice is an ingredient that is often featured in commercial dog foods, but, just like potatoes, this is used more as a filler than for nutritional purposes. Rice is a carbohydrate, and, as mentioned above, this is not something that your dog really has a need for. If you would still like to feed your dog rice as a treat, try opting for brown or wild rice instead, as these will contain more minerals and fibre, without having such an effect on blood sugar levels. 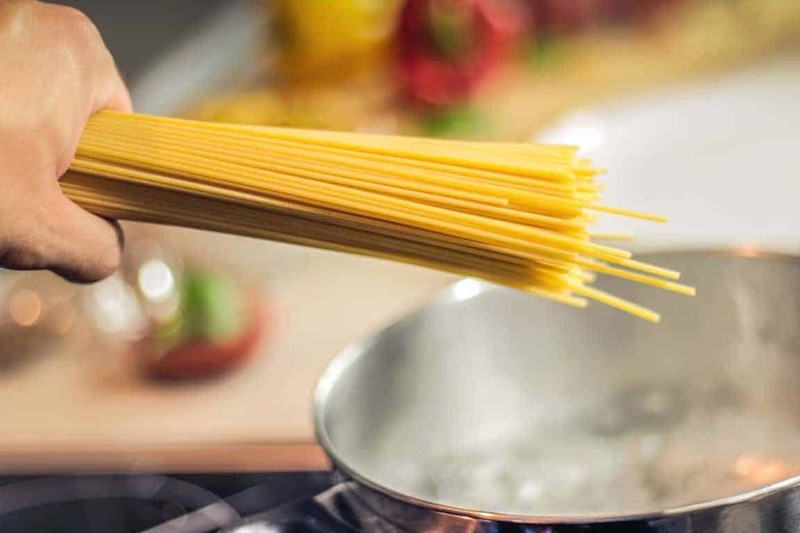 Pasta is another one that you should try to avoid, because, again, it is high in carbohydrates and low in nutrients. While feeding your dog some pasta as a one-off treat will not hurt, you should refrain from doing so on a regular basis. Lentils are slightly different, because they are actually quite a good source of protein. When it comes to the fillers in commercial dog foods, lentils are about as good as they get. If you want to add lentils to your dog’s food yourself, make sure that you thoroughly cook them first, otherwise they may end up fermenting in your dog’s stomach. 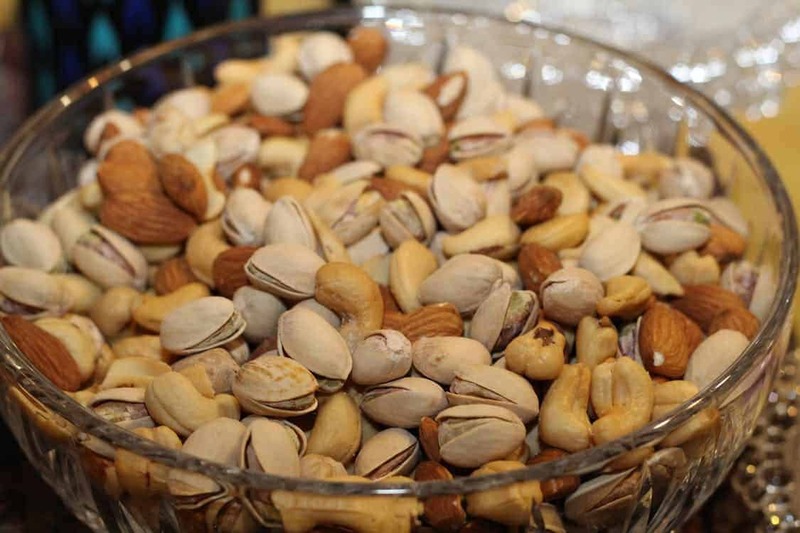 Many people are under the impression that all nuts are extremely toxic to dogs, but this is not at all true. 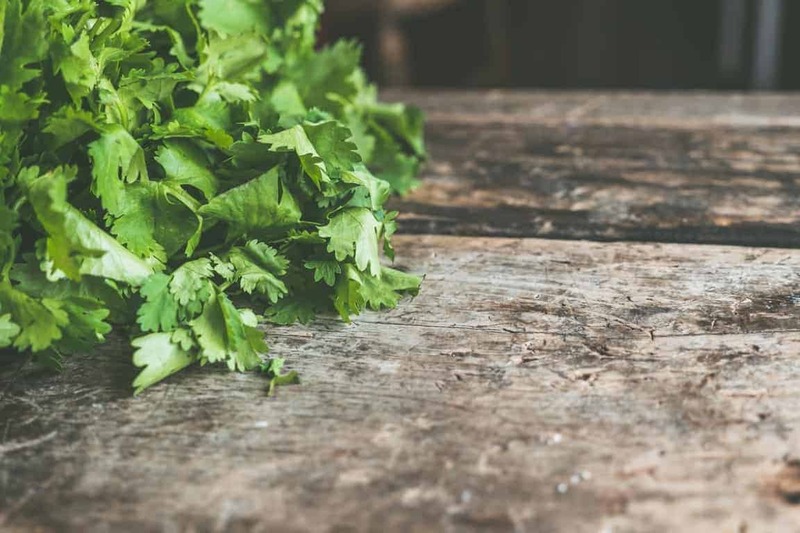 Just a small portion of herbs can contain even more antioxidants than an entire serving of fruits or vegetables, and the majority of herbs out there have medicinal properties, meaning that they could really boost your dog’s health in so many ways. Herbs can be fed in both their dried and fresh form, and can be sprinkled on top of your dog’s food. When a dog’s coat or skin could do with a boost, many owners choose to add extra oils in to their dog’s diet. There is nothing wrong with doing this, so long as you are adding the right oils. Fish oil will be the most beneficial for your dog, as this will contain omega-3 fatty acids. However, the majority of fish oils out there are made from larger fish, which, as mentioned above, are often contaminated with mercury. The safest fish oils would be ones made from smaller fish, such as krill oil. Coconut oil is one that has been in the spotlight recently, and many dog owners have started adding this to their dog’s food. There is no conclusive evidence to support the benefits that coconut oil can have for dogs, and the debate is still ongoing as to whether or not this is a good oil to be feeding to dogs. 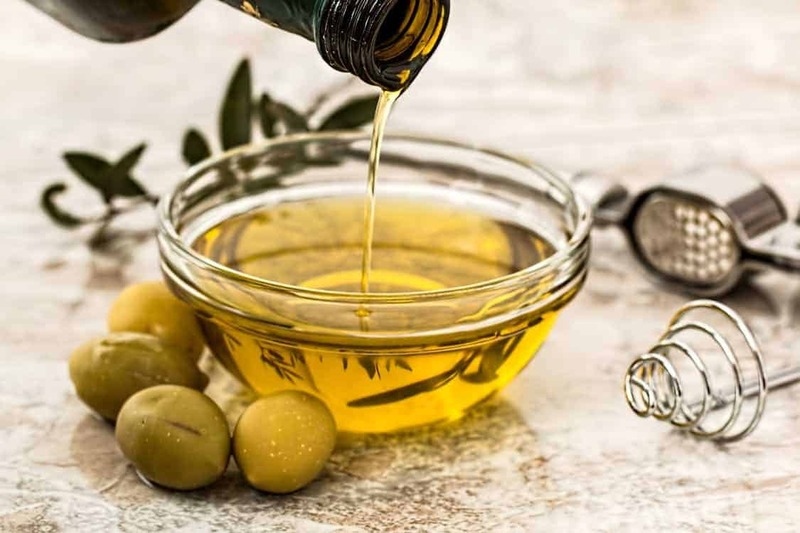 Other oils that you could look into are flaxseed oil, which can help with arthritis, and olive oil, but make sure that you always opt for extra virgin and organic. While oils can help with a number of different health issues, it is important to remember that moderation is key. Feeding too much of an oil can have an adverse effect in the long run. What Other Human Foods Are Good for Dogs? It is always tempting to share bites of your food with your dog, but you do need to ensure that everything you feed is safe for your dog before you do so. As you can see from above, fresh and natural foods can be great for your dog, although some, such as onions and grapefruit, do need to be avoided. When it comes to processed food, the majority of this tends to be unhealthy for humans, so you can only imagine how bad they would be for dogs. As mentioned above, peanuts are safe for dogs to eat, meaning that peanut butter is safe too. Not only does it contain protein, but it also a great source of certain healthy fats. However, you need to pay attention to the peanut butter that you feed. Many peanut butters contain a sweetener called xylitol, which is toxic to dogs. 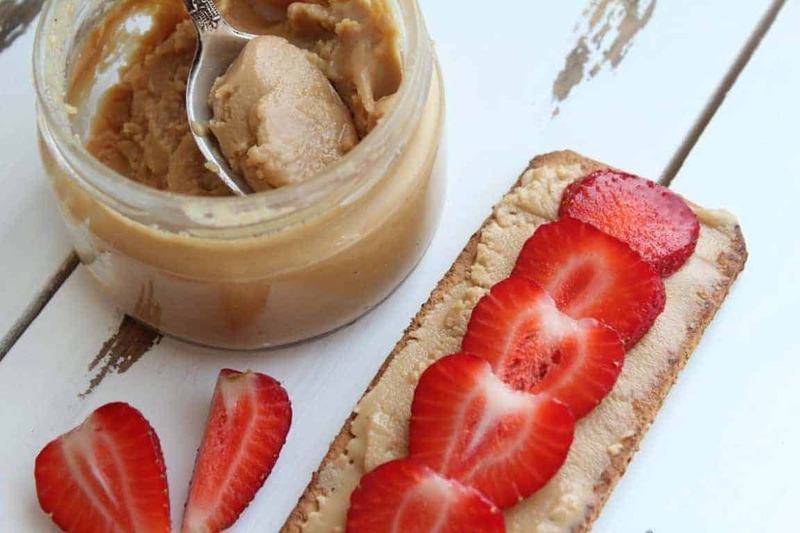 Fortunately, there are many peanut butters out there that are made from just 100% peanuts, which you can find out by checking the ingredients list. You should never feed bacon, or other preserved pork products, such as ham, to your dog. Not only are these incredibly high in fat, but they also contain so much salt, both of which will be too much for your dog to handle. While a tiny amount once in a while may not cause any serious problems, too much too often can be fatal. When it comes to applesauce, quality varies quite a bit. There are many that are filled with sugar, and these should not be fed to your dog. However, if you make or buy an unsweetened applesauce, there is nothing wrong with feeding small amounts to your dog as a treat. You can either add it to his food, or use the applesauce to make your own dog treats. When a puppy or adult dog has been ill, many choose to feed them some Gatorade in order to help replenish lost electrolytes. While a few sips will not hurt, Gatorade does also contain sugar and salt, both of which could end up making the Gatorade to more harm than good. It may be tempting to try to look for other beverages for your dog to drink, but water is the only thing that he needs to stay hydrated. As a dog owner, it is always best to be as educated as possible when it comes to knowing which foods are good and bad for your dog. If you are ever in any doubt about feeding a particular food to your dog, a quick internet search should set you on the right path, but make sure that you check a few reliable sources rather than trusting the first answer that you see.